Algae is the number one cause of frustration for pond owners. There is nothing worse than seeing your pond turn from the fish haven you love into a green blanket. Algae presents life-threatening problems for your fish, other wildlife and plants so leaving it is not really an option. Coupled with the fact that you will no longer be able to see your fish and the depleted oxygen levels, there’s no better time than now to solve the problem. The good news is that algae is relatively easy to get rid of and control. As a pond expert at Swell UK I come across this problem a lot. The first thing I recommend to do is to learn what algae is and why it grows. Algae is a term applied to a series of plants that are exceedingly adept at coping with changing conditions within your pond. Whilst other plants may not adapt to the change, algae has the potential to overrun your pond quickly if not treated. During the day algae photosynthesises; taking carbon dioxide from the air and water from the pond and turning it into oxygen and sugars. However during the night algae heavily respires doing the reverse of the process and drawing oxygen from the pond. This leads to oxygen depletion in the water which is particularly harmful for any fish and wildlife. One of the things you should have considered when building your pond is the location. Ideally a pond needs to be in partial shade. Too much sun will encourage algal growth. In addition you need to ensure that there is no run-off from your garden into your pond. Any fertiliser or compost that may be in the run-off again will encourage algal growth. 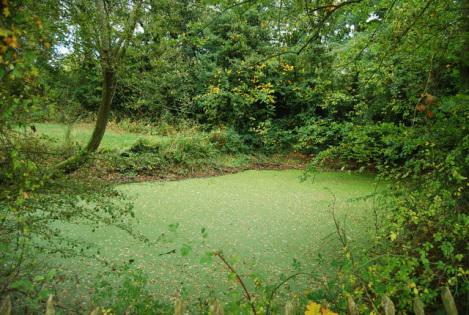 One of the main causes of algal growth is the lack of water movement within a pond. One of the ways around this is to install an aerator which will release tiny air bubbles all day that create movement in the water. 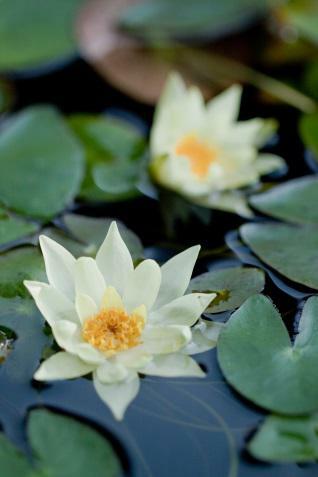 The first way to help prevent algae and indeed treat the problem is to add plants to your pond. In nature fish produce nutrients which plants then use, not allowing nutrients to be used by algae. In garden ponds many are not planted fully enough to use all the nutrients produced by the fish. The first thing you want to do, whether you are trying to prevent algae in a new pond or control your algal growth, is to introduce more oxygenating plants. Floating plants like water lilies shade the water and submersible plants like parrot’s feather add oxygen to the water. All aquatics plants use the nutrients required by algae to grow and marginal plants such as reeds can add shade as well. A way of dealing with algal growth that is already occurring is to add water treatments to the pond. Green water algae treatment can, with repeated use, control your green algae levels. It is important to carefully follow any instructions and to repeat use to entirely clear a pond and maintain clean water levels. Another way to combat algae is to have a UV clarifier or light. UV clarifiers work by exposing single-celled algae to high levels of UV light. Pond water enters the clarifiers’ inlet tube and goes around the UV light. The algae is killed by the UV light. This causes the dead algae to bunch together which can then be extracted by your filter. Finally you can introduce some animals to your plan that eat algae. 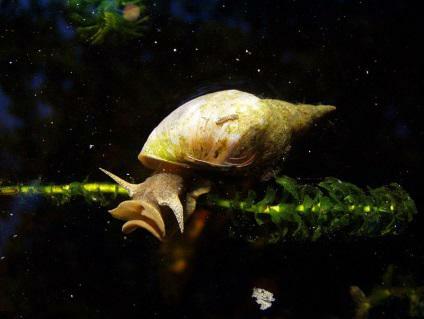 Water snails are perfect for eating algae as are tadpoles. Tadpoles have the added advantage of eating mosquito and other insect larvae. If you do have an algal problem, once the algae has been reduced and your pond is back to normal it is important to do a full pond clean. This will ensure that any residual algae is removed. It is important to do regular cleanings as this helps maintain good water quality.